Corporate eLearning / 2109: Your Breakout Year In L&D? The 2019 Workplace Learning Report by LinkedIn  is a gold mine for L&D professionals. It starts out with a bold predicament: 2019 is a breakout year! 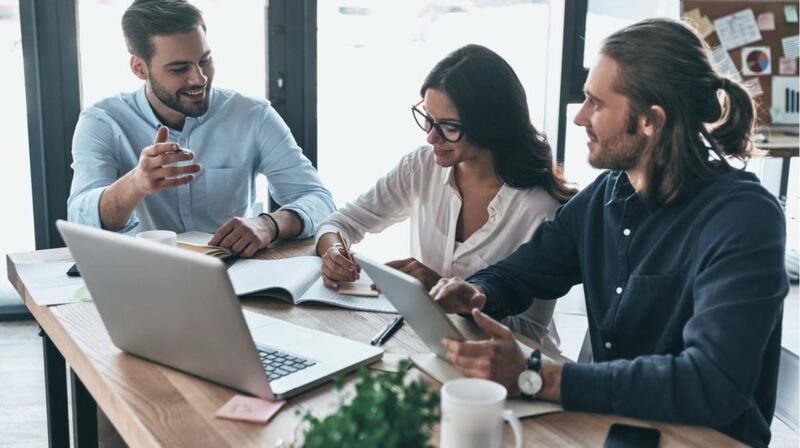 Over half of respondents report that increasing learner engagement is the top challenge for their teams in 2019; yet talent developers only spend a small sliver of their time (15%) marketing learning opportunities to employees. In other words, before we step on the marketing gas pedal, let's make sure our destination is actually where people are going. Let's make sure we're not just designing and building content to be promoted but we're helping people grow their skills to be more efficient. eLearning courses have their place and time but they're not always the solutions to problems. For example, even if we determine that a lack of knowledge is the root cause of a problem, it does not mean the solution is to create training. The solution is to get rid of the lack of knowledge. Training might be one potential way to achieve that. Or not. Now, let's assume we do have solid "learning programs" we want to market. What are some creative tips we can use to market learning? To get your message out, use a multi-channel approach that includes email, videos, events, signage, influencer campaigns, contests, and more. One of the ideas is a pre-recorded message from the CEO to encourage people to learn. While watching the CEO's canned message may be exciting in some organizations, in other places, you can get the CEO to be more creative. How About A CEO Bucket Challenge? Remember the Ice Bucket Challenge? What if you challenged people in your organization to share one thing they learned. Anything small. Post a quick video on their internal social platform! Now, each of these contributions is an ice cube in the imaginary CEO bucket. Maybe it's a visual on the site: a bucket meter. When the CEO bucket is full, the CEO dumps a bucket full of ice on their head. Share it with everyone on the same channel! Actions speak louder than words. Did you know that most workplace learning happens in the first three days of the work week? Try sending emails at the beginning of the week to increase impact! Your emails can include teasers, challenges, or updates on the CEO Bucket challenge. One of the big takeaways from the report is that mobile and social learning are on the rise to boost engagement. Now, I've been hearing that mobile learning is the thing for the last six years. Maybe this year is the breakaway year? Or, should we wait until the new gen folding phones come out around $2,000 a piece? Learners are more mobile and social than ever. Mobile learning continues to increase—5% in the past year. Mobile learning somewhat reminds me of "Web 2.0" and "learning 2.0" from the early 2000s (?). Did it happen? It depends on what you mean by that. Mobile learning is not posting videos on a mobile platform or building responsive content for the sake of claiming the number of learning assets available in the library. As for social learning, L&D needs to understand that it's not an emerging thing we need to design to boost engagement . People have been "social learning" forever. It's happening whether we like it or not. It's just that people don't send SCORM packages to the LMS when they ask their peers how to do something over the cubicle wall. What the report is talking about is the effort to catch up with the natural social learning at the workplace "in an organized fashion": providing a platform for people to share best practices and learn together. The best way to support that is probably not buying an online platform filled with courses, rather than talking to people how they're doing it today. What channels, if any, are they using? What natural ways are people sharing? What are the pain points? How could we help? New Buzzword To Watch Out For Is "Frictionless Learning"
When I first heard the expression, "frictionless learning", I thought they're talking about "easy" and "fun" learning, which according to the science of learning is completely the opposite of what we should be doing (see desirable difficulties). Digging the phrase deeper I learned that it's basically referring to another "new" buzz phrase, working in the flow. So, the idea is that you can get your learning anytime, anywhere without running into barriers (frictions). And guess what the biggest barrier is today! No, it's not the budget anymore. Apparently, the budget is not the top concern. It is time. The time available for people to learn is the biggest barrier. Employees who spend over five hours per week learning are more likely to know where they want to go in their careers, find greater purpose, and feel less stressed. This statement made me wonder about cause and effect. Is it that employees who spend five hours per week learning are more likely to know where they want to go in their careers, find greater purpose, and feel less stressed? Or, people who know where they want to go in their careers, have a greater purpose, and feel less stressed MAKE SURE they spend over five hours a week learning? The report does not answer that. No, it's not plastics (as in the infamous scene in The Graduate). The last word is about engagement. One of the most underrated elements, yet, in my experience, one of the most impactful elements in learning and performance is the manager. Managers and supervisors are the boots on the ground to reinforce learning or break any official learning effort. The report confirms that as well. Data shows the number one way learners discover the skills they need to improve or progress in their roles is when their manager provides specific direction or guidance. "Forget training. Let me show you how we REALLY do it here." If you read the full report, you will have a good understanding of where the L&D industry is heading in 2019. Make sure you use creative marketing technics to promote learning (that is really needed) and engage managers and supervisors to reinforce key knowledge and skills. If you want to compare and contrast this report to what 15 experts were predicting in digital learning trends for 2019, here's a good list of wishful thinking . Good luck with your breakaway year!